Celebrate any Birthday with this beautifully scented bouquet of pink oriental lilies, sweet avalanche rose and unusual antique carnations. 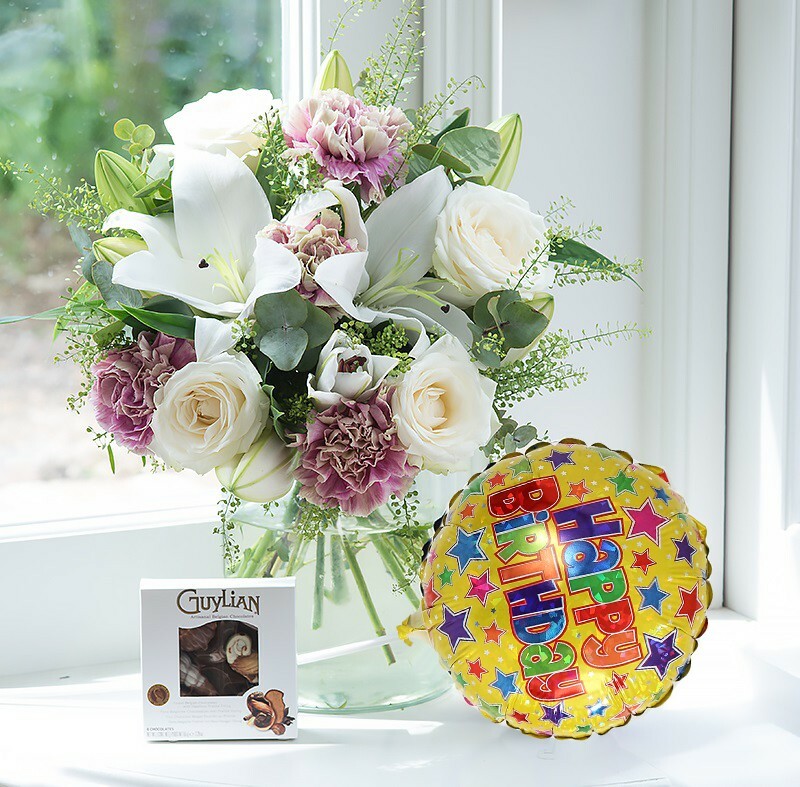 The gift set also includes a box of Guylian chocolates & a mini birthday balloon. Guaranteed named day delivery is available Monday to Saturday excl. bank holidays. Order before 6.30pm Monday to Friday for next day delivery. Order before 2pm on Sunday for Monday delivery. Free delivery is available on selected products. Please note that deliveries are untracked & may arrive one day either side of your selected delivery date. If you require delivery on an exact date, please upgrade to a different delivery option. Refunds cannot be issued for late delivery using this service.